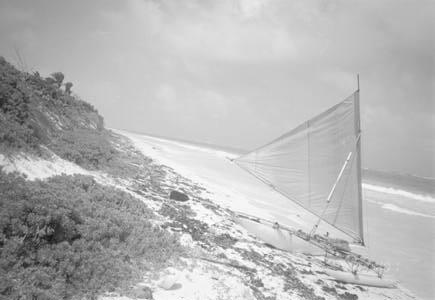 "Stinky" the outrigger sailing canoe on an endless uninhabited beach. Part 1 The first part. Cancun. Part 2 Paa Mul. Ruins. Part 3 Fixing the boat at Bahias de Punta Soliman. Part 4 Down the coast past Boca Paila. Part 5 Punta Allen and back. Appendix 1 Boat plans. Detailed descriptions and diagrams of the boat.